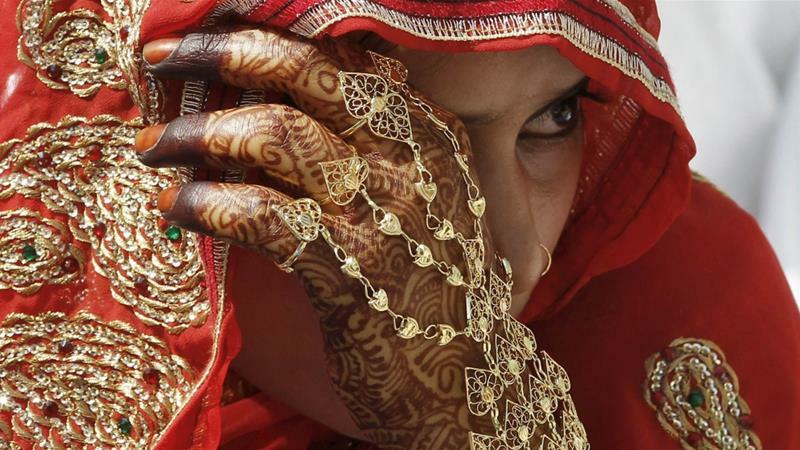 India's Supreme Court on Tuesday blocked the use of a Muslim divorce law until the government frames new legislation, a partial victory for Muslim women who had long argued that the rule violated their right to equality. Three out of the five judges on the constitution bench ruled against the "triple talaq" law, which allowed Muslim men to divorce their wives simply by uttering the word "talaq" three times. The judges said the law violated Article 14 and 21 of the Constitution of India, which is related to equality, and protection of life and personal liberty respectively. "This is a sensitive case where sentiments are involved. We are directing the Union of India to consider appropriate legislation in this regard," Justice J.S. Khehar said while announcing a six-month suspension on the practice of the divorce law. "It's a very happy day for us. It's a historic day," said Zakia Soman the co-founder of the Indian Muslim Women's Movement, which was part of the legal battle to end triple talaq. "We, the Muslim women, are entitled to justice from the courts as well as the legislature," she added. Muslim women say they have been left destitute by husbands divorcing them through "triple talaq", including by Skype and WhatsApp. Karuna Nundy, a human rights activist, told Al Jazeera that the Supreme Court's ruling is very significant. "The judgement is progressive because it recognises that this talaq practice is extrmely oppressive to women and not essential to religious law," she said. Bharatiya Muslim Mahila Andola, a Muslim organisation, launched a campaign two years ago to ban triple talaq. Triple talaq was already ruled unconstitutional by the Supreme Court in a number of cases, including in February 2015. A recent survey released by the BMMA found that 92 percent of the 4,710 Muslim women surveyed wanted a total ban on verbal or unilateral divorce. Muslims in India, who make up the largest religious minority in the country, are governed by the Muslim Personal Law. The legislation is not codified, which means it is open to interpretation by local clergy. As a result, BMMA noted that Muslim women are "excluded educationally, economically and socially owing to government neglect and suffer from near absence of any legal framework in matters of family and marriage". India's Muslim Law Board had told the court that while they considered the practice wrong they opposed any court intervention and asked that the matter be left to the community to tackle. But several progressive Muslim activists have decried the law board's position. "This is the demand of ordinary Muslim women for over 70 years and it's time for this country to hear their voices," activist Feroze Mithiborwala told New Delhi television station.